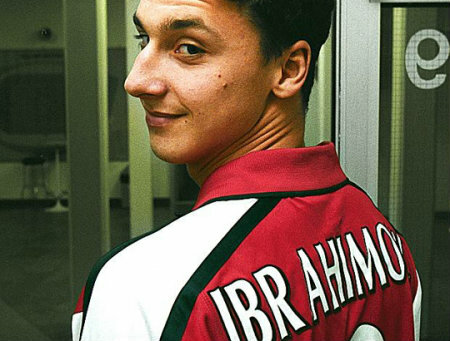 “Manchester United and Arsenal in for Zlatan Ibrahimovic?” asks the Guardian. To which the answer is: we don’t know. And reading on in the Guardian, we find out that they don’t know, either. What Scott Murray does know, however, is that Paris Saint-Germain are keen to sell Zlatan Ibrahimovic and Arsenal and Manchester United are “already said to be vaguely interested”. Said by whom is something else we don’t know, but our bet would be someone at the Guardian. The Daily Express says Chelsea want the Swedish legend and “have shown the greatest interest in the lanky goal machine”. Lanky? LANKY! He knows where you live, Daily Express. Be warned. 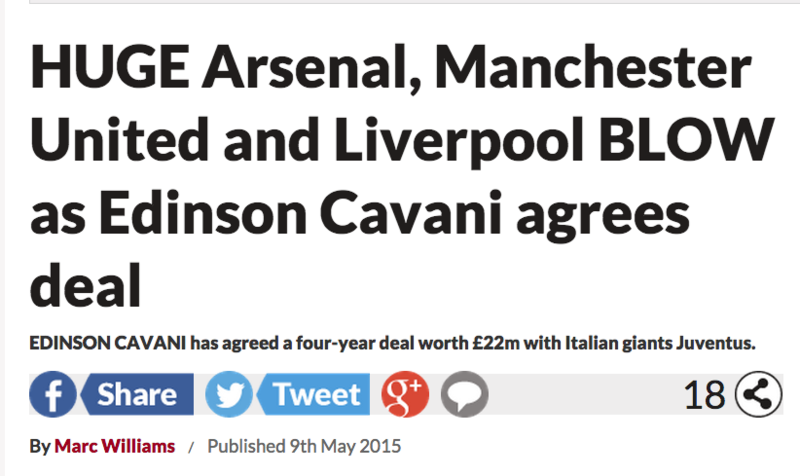 But The Blues won’t get Zlatan because AC Milan fancy him almost as much as he fancies himself, which is a lot. Let’s hope Silvio washes his hands before coming in for one of his special ‘Bunga Bunga’ hugs. Best / worst of the rest. The Daily Express says Arsenal have suffered a “blow” in their chase for Real Madrid’s Isco. The player’s agent Rafael Comino said his client wants to fight for his place at Real. “There’s nothing in the rumours,” says Comino. The Metro says Zlatan will not be the only Paris Saint-Germain forward coming to Arsenal – Edinson Cavani “could” complete a transfer to the Gunners “within the coming days”. He could. And, then again, he could not. 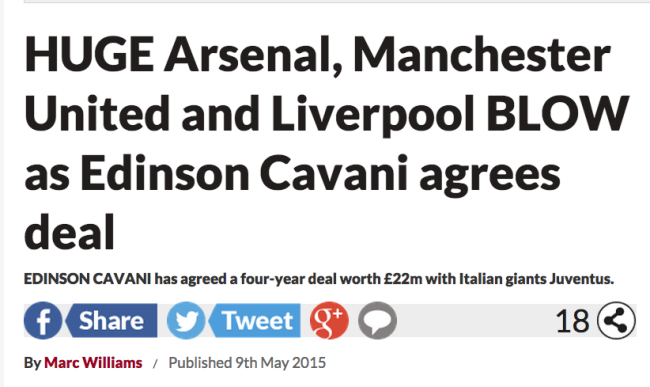 Of course it was back in May that the Express told us: “Edinson Cavani agrees £22m contract transfer from PSG to Juventus.” So it’s pretty clear the papers have no idea. The Independent says Manchester United’s David De Gea, 24, will sack agent Jorge Mendes if his dream move to Real Madrid is not realised this summer. A sacked agent. Whose smiling? “[A]s she fancies himself.” “SHE?” Gender agreement, please! -OR- Sexist jokes are SO 1980’s….